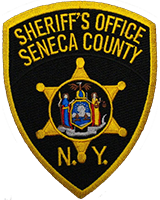 These rules and regulations have been written to assist prospective visitors at the Seneca County Correctional Facility. There is a posting of such rules and regulations in the Main Lobby of the LEC. A valid form of photo identification (such as a driver’s license or identification card issued by a motor vehicle department, a government or state issued identification card, or a passport) is required for every visit. Persons under the age of 18 must be accompanied by their parent(s) or legal guardian(s) and must posses a form of identification such as a school I.D., library card, social security card, or birth certificate. Visitors will be scanned with a metal detector. Lockers are provided for all items not allowed in visitation. Purses, coats, hoodies, scarves, gloves, lighters, tobacco products, hats, and keys are examples of items not permitted into visitation. No smoking will be allowed in any part of the building, including the main lobby. Visitors and inmates will conduct themselves in an orderly manner; yelling and profanity will not be tolerated. All visitors must dress in appropriate attire. Clothing must not refer to gang affiliation nor display sexual or lewd comments/pictures. Clothing must cover the upper torso and lower/mid body parts. Visitors who appear to be under the influence of drugs or alcohol will not be permitted to visit. Visitors under the age of 18 must be accompanied by a parent or guardian. Visitors, including children, are not allowed on the inmate’s side of the barrier. Inmates and their visitors may kiss and hug briefly at the beginning and end of the visit only. Any visitor found bringing contraband into the visiting area or committing a criminal act anywhere on facility property will be subject to arrest. You must be present in the main lobby at least 15 minutes prior to the scheduled start time of a visitation session to register for the visit. Visitation times are strictly enforced. Persons who are currently on probation or parole must have a note signed by their probation or parole officer stating that the probationer or parolee is allowed to enter the correctional facility and that the probation or parole department is aware of any intended visit. Failure to obtain this note will result in the probationer or parolee being denied access into the visitation area. Inmate personal items may be brought to the facility by visitors during visitation hours of the weekend immediately following the inmates admission to the facility. All such items must be left with Correctional Staff. Examples of permissible items are socks (3 pair), underwear (3 pair), eyeglasses, and contact lenses. Unauthorized items will be returned to the delivering visitor for removal from the facility.